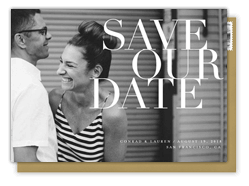 A sophisticated save the date that is both modern and whimsical. Featuring a soft watercolor wash background, trendy geometric overlay and elegant, metallic foil frame it really makes a statement. 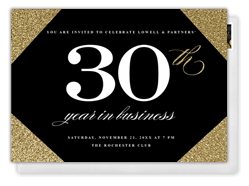 Perfect for use as a wedding save the date, graduation or any upcoming party or event.